Ho’oponopono is a Hawaiian healing tradition that “undoes” the threads that cause disharmony in our lives. It involves using statements with a lot of historical power on their own, but, when your conscious intention is behind it, without guilt or shame or fear, it is an extremely powerful tool of change! This past weekend a friend and I co-hosted a wonderful workshop to learn the art of Ho’oponopono with Krow Fischer from Here on Earth. Over the past year, I have been really looking at and releasing some old patterns that were no longer serving me in my life as many of my friends and clients alike have been doing. We all learn in different ways and though I read many books and listen to many CD’s etc., my best way to integrate learnings are through experiential work. I had read a book this spring on Ho’oponopono, the Hawaiian art of love and forgiveness which was very intriguing. To my delight, I found out that Krow Fischer was leading workshops for this after studying with Harry & Sila Jim, Traditional Hawaiian Kahuna’s. The art of attraction in action! The day began with the history of this process and the more recent work of Dr. Hew Len. Please click here to view this article or the wikipedia version. We soon started to breakdown the steps in the four statements that are used and learned how to personally connect with each of them. We practiced these phrases within the group as participants expressed different issues that were a challenge for them. 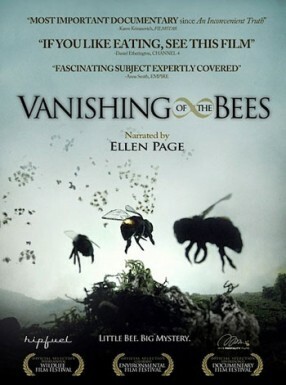 As a group we discussed a current situation we became aware of after a number of the group had viewed the film entitled “The Vanishing of the Bees” on the previous evening. We decided to send Ho’oponopono to the bees and this is my recall of how it went. I am sorry… for our part in accepting the patterns that have created the current situation devastating the honey bees around the world. We have been patterned to look for the cheapest products and we do not understand the practices involved in bringing the final products to the market. We are sorry for anytime we have used pesticides even before we understood the negative effects they have on the planet. (There was more). Please forgive me for not realizing the important role you play in feeding me, without you, there are no pollinators to keep the fruits and vegetables growing. I thank you for all that you provide with your role in the cycle of production, for the healing power of the honey you produce. I love you and promise to make wiser choices from this moment forward. We all declared our new intention to only purchase organic honey products, preferably from local beekeepers. The local honey provides us with immune boosting ingredients specific to our area that are the most beneficial. It was a magical day and we all left feeling more empowered to change and bring more healing and love into our lives. I look forward to sharing stories with the group on how this practice has shown up in their lives. How about you – have you ever experienced this practice? I welcome your feedback. You can connect with me via telephone or email, leave a comment here on the site or click the contact tab at the bottom of the screen if you are reading this post on the website. I liked this very much. The environment and life being in wholeness does not understand the ignorance of the few. We become all responsible for the misdeeds done to Nature/Earth and I understand that this is in my opinion is very effective in realigning the energies to their initial intent of purity and perfection.